I wasn’t too much into trekking before. I fell in love with trekking after my first winter trek – Kuari passes in the majestic Himalayas. The thrill of trekking and the adventure led me to scour for trekking places and hence I’d mentally come up with a list. Also of late, actually I received questions about the treks that can be done in Karnataka from some of you readers. So, I decided to write this informative post about the top most beautiful treks of Karnataka which can be taken up by any serious trekker or the not so serious, adventure-seeking traveler. The good news is that all almost all of these treks can be done during weekends. So don’t worry, you need not ask for leaves at your office! One of the most famous and arduous treks in Karnataka, this trek to Kumara Parvata Hills nestled in the lush western ghats is a beauty to witness. 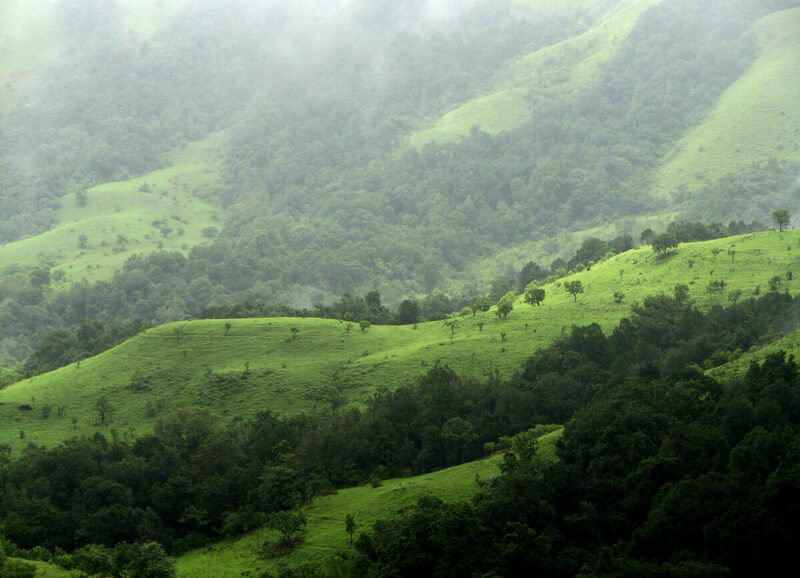 You could enjoy the picturesque landscapes which get all misty and heaven like during monsoons. Although I haven’t trekked here, I’ve been to this place a lot of times. And believe me, it is a splendid view to witness the hovering clouds over the greenery. If you are a beginner, then I would suggest you do any of the below before you sign up for Kumara Parvata. 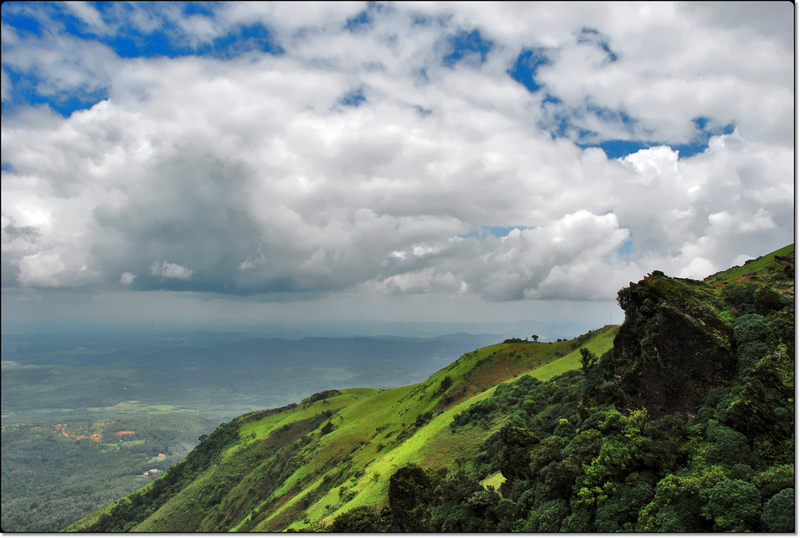 Ask about the trek places of Karnataka to an avid trekker and off she/he shoots – Kodachadri. 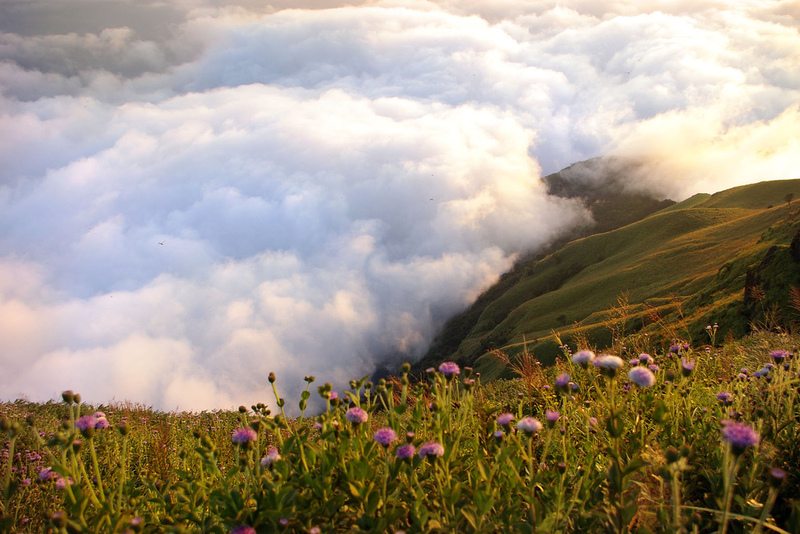 Occupying the center of the chain of mountains in the Western Ghats, Kodachadri is probably the most popular trekking destination in Karnataka. Standing about 1300 meters above sea level in Shimoga, the landscape boasts of numerous waterfalls and lush green meadows, which surprises you. The place gets all decked up and pretty during the monsoons especially, turning the views simply magical. Scores of trekkers prefer trekking during the mist inducing rainfall, despite the leeches and the damp to witness this wonderland. I would put this trek at the top if I were writing it in order of my personal favorites on the bucket list. 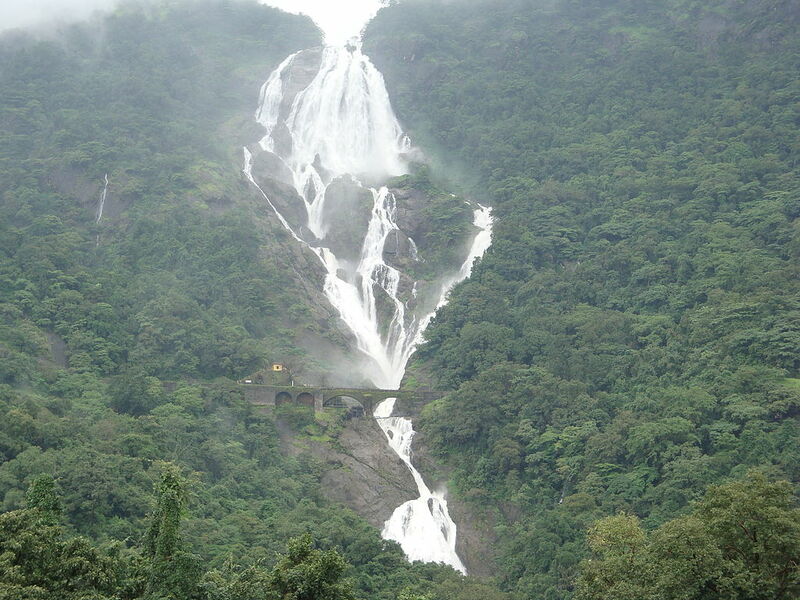 Dudh Sagar waterfalls is a majestic waterfall befitting its name. 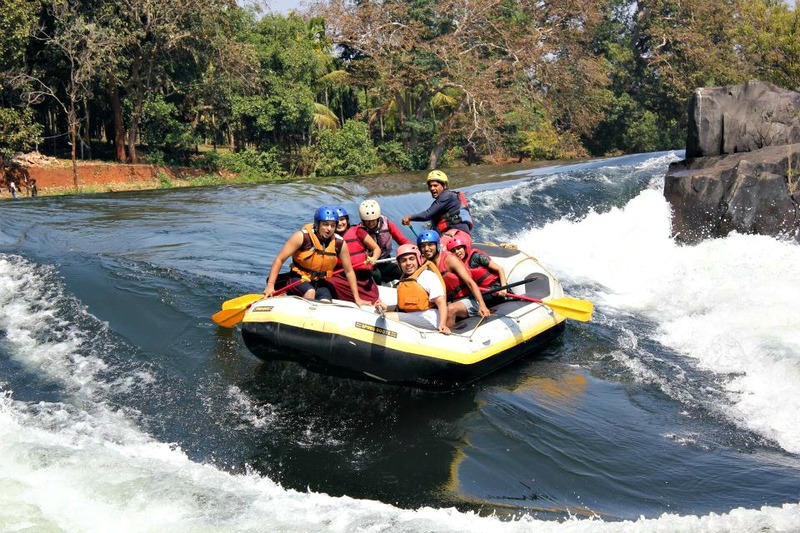 Located on the border of Karnataka and Goa, this trek is one of a kind in many ways. For starters, this is the only Trek where railway track is the trail. Yes, you need to travel on a railway track which leads you to the mesmerizing waterfalls. Passing through tunnels and making way through lush, dense forests, you’ll witness one of the spectacular sights of the milky white or ‘Dudh Sagar’ waterfalls. If you travel by train, you can hop off and trek to this place. It is the most sought after trekking during rains when the waterfalls flourish and flow with vigor. 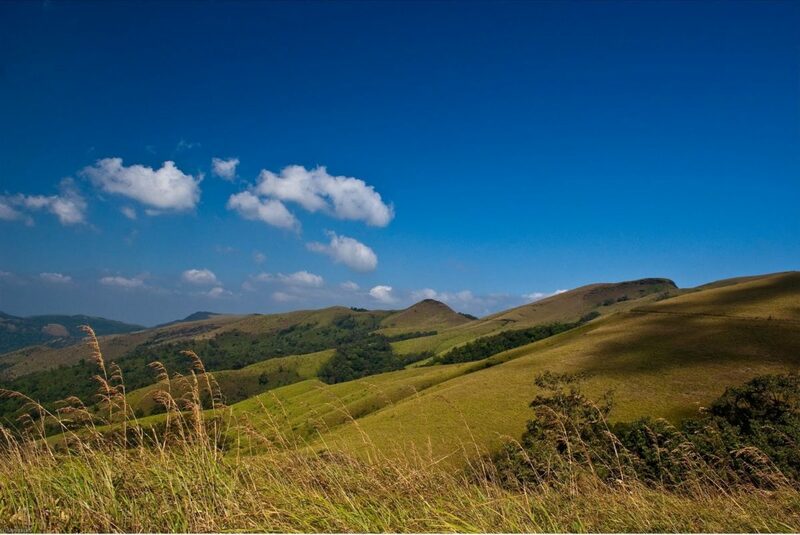 If you want to do some serious trekking in Coorg and not just hang out to unwind, Tadiandamol is the one for you. Well, this trek is not so serious after all and can be done by beginners easily. Starting at Virajpet, Kakkabe or Coorg, this peak at a whopping height of 5000 + meters is the highest peak in Madikeri or Coorg. The trek to reach this peak is a hike through meadows filled with colorful flowers and narrow trails with tiny water streams around. After passing through the rugged rocks and greenery, you’ll be presented with an enthralling and a satisfying trek over a weekend. Known for its well preserved national park, Kudremukh is also a major trek destination and is on the bucket list of every trekker. Although camping within the area is not possible, you can be back to the base camp well before. But make sure you have the permit to trek, as the area is a bit more sensitive as it comes under the reserve area. It is a moderate and rejuvenating trek, as it provides a combined experience of witnessing waterfalls, pristine landscapes, and greenery. If you are keen on watching a most memorable sunrise, Skandagiri is the trek you need to do. 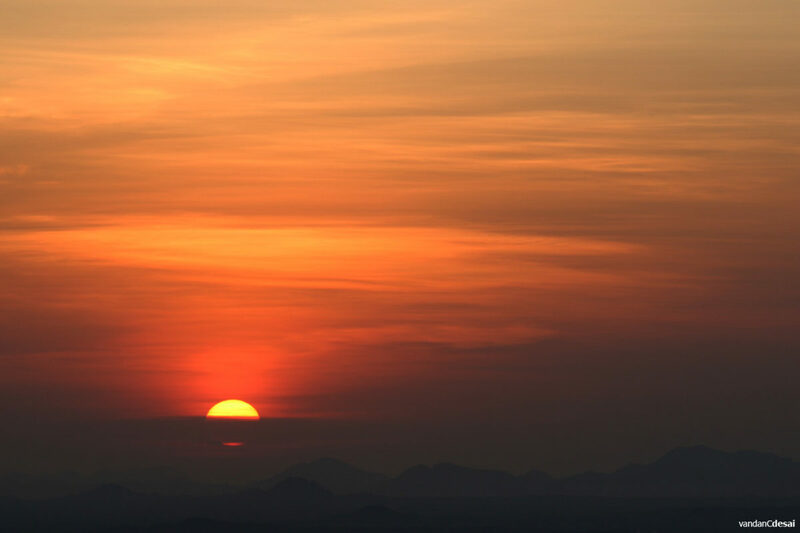 Famous trek of Karnataka for its spectacular sunrise, Skandagiri is known for its night trek. People usually start late night to ensure they reach the peak by dawn. Being closer to Bangalore, Skandagiri is a very well known trek among the weekend getaways. It can also be done in a day. Day treks are also held, where we get to experience the hike through dense forests. Ensure that you do a prior check, since this trek is not available always and is closed during the certain time of the year. Trekking the tallest peak in South India is certainly a big feat. 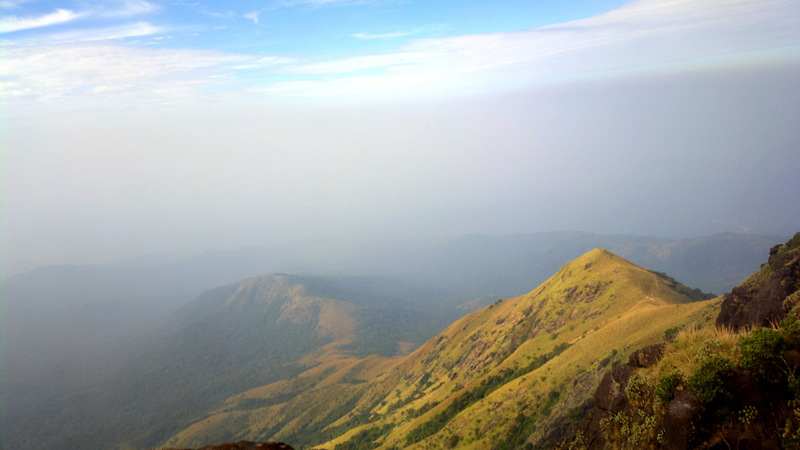 Hence being on the list of most of the trekkers, Mullayanagiri is a beautiful trek destination. Not only for trekkers, but also for travelers who would love to get lost amidst the beauty of nature. Easily reachable from Bangalore, Mullayanagiri, and the nearby hill Bababudangiri is beautiful treks in the Western Ghats. If you love the monsoons and enjoy getting drenched and get all wet, then this trek is for you to have a happy day amidst the picturesque landscapes and the mist filled gorgeous mountains. Lushington fall (or Unchalli falls) in Uttar Kannada district is one of nature’s gifts to humankind. 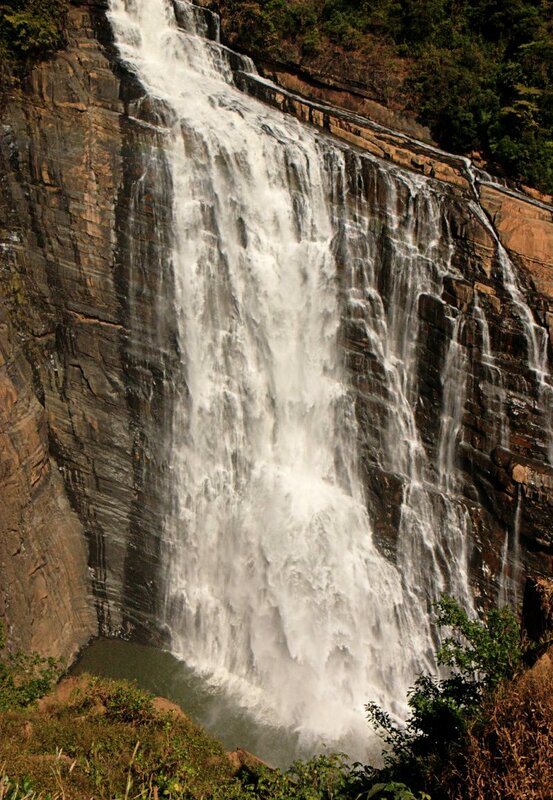 Called as the Niagara of South India, trek to these falls is also one of the challenging treks. If you want to challenge yourself about your trekking, then take up this trek. This trek would not only boost your confidence for many arduous treks, but you would also be rewarded with visiting one of the most magnificent waterfalls. Be ready to spend a lot of time clicking up the photos of this serene beauty, as any number of photos would not leave you satisfied! These are my picks for the trekking destinations in Karnataka. I’m sure that I would’ve missed some of the beautiful treks and I would be happy to add here (that is, to my bucket list).